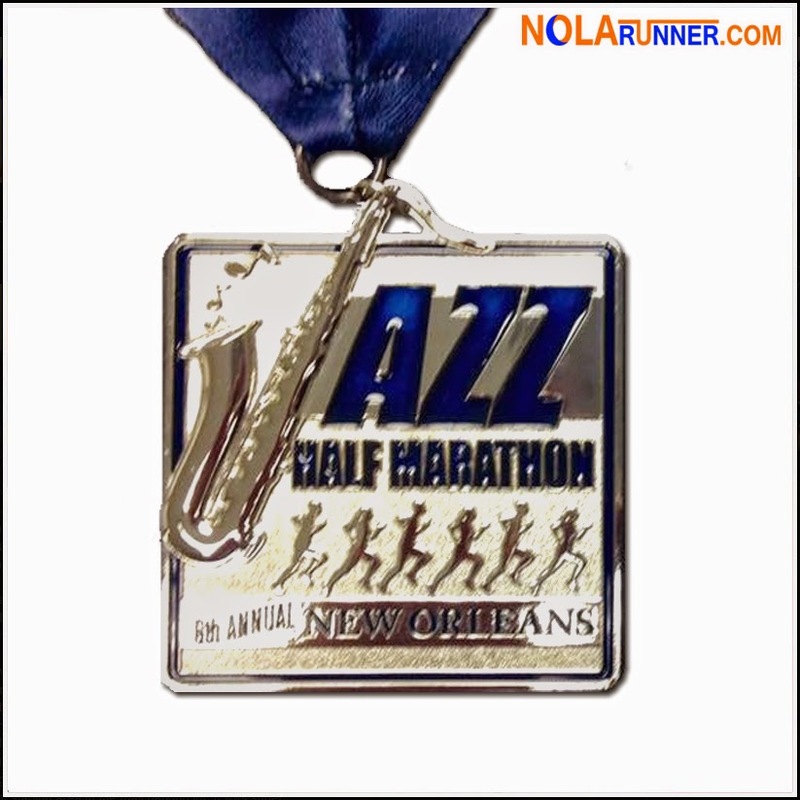 This Saturday, November 1st at 7:00 a.m. is the Jazz Half Marathon in New Orleans, benefiting the cancer program at Children's Hospital. Online registration is now closed, and for those of you who have already registered for the half or 5K, there' plenty info here to get you prepared for the race. Anyone who hasn't registered, there's still time to participate and support a worthy organization. Please do not wait until race day if you can avoid it. If you need someone to pick up your packet for you, make sure they have a copy of your ID to show expo staff (a picture on their phone will suffice). Should race-day packet pickup be required, it will occur from 5:30 a.m. 'til 7am near the start line under the white tent in Lafayette Square (500 Block of Camp Street, New Orleans, LA 70130). To make this year's race stress-free, race organizers have partnered with Parking Panda, the nationwide leader in online parking reservations. Reserve your 100% guaranteed spot near the start-line or throughout New Orleans. Please be sure to note the arrival and departure time. Jazz Half discounted options ($4.00 - $9.00) require that you exit before 2 PM. Online parking spots are already available to reserve HERE. If you haven't reserved your parking yet, you may want to consider doing that now. Some of the lots have already sold out. Both the Half Marathon course and the 5K course are walker and spectator friendly. The scenic out-and-back course along beautiful St. Charles Avenue allows spectators to cheer for their runners in multiple spots, and still make it back to the finish line in time to reunite for a post-race celebration. See the course map taken from my Garmin data during the 2013 race above. Post-race activities in Lafayette Square, including refreshments and live music by local musicians, will start at 8:30 a.m. and continue until noon. All half marathon finishers and the first 500 5K finishers will receive a commemorative medallion, pictured here. 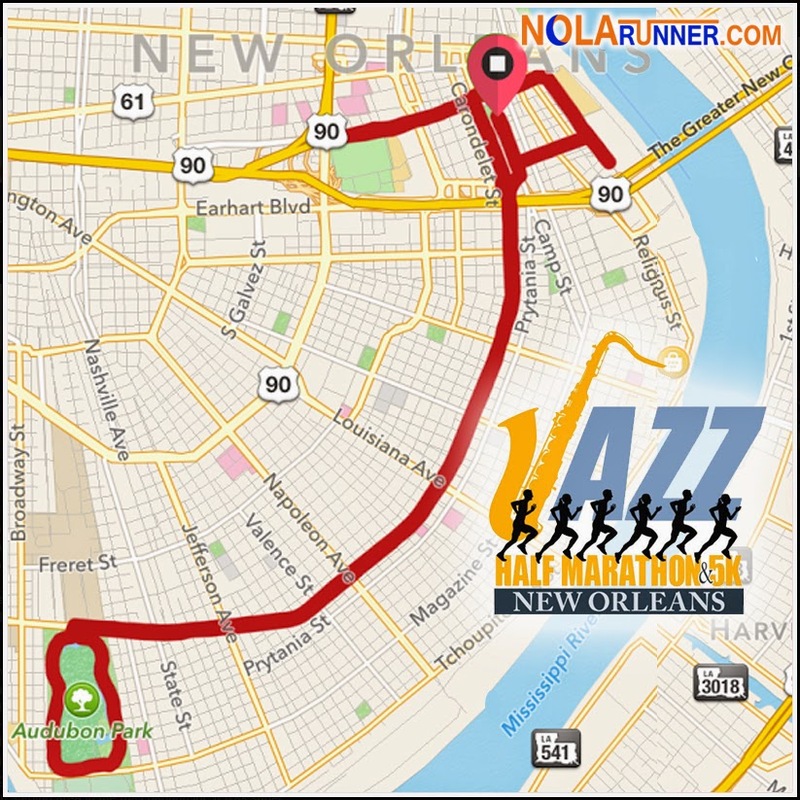 Get up-to-date race info from the official Jazz Half Facebook page HERE, plus expect race-day coverage on the NOLArunner.com Facebook page HERE as I'm very excited to be running the race for the sixth consecutive year!